Mobile devices have been mainstream for several years now, and their capabilities are only continuing to increase. And while security industry end users are among the most tech-savvy of mobile users, mobile app development in the security industry is not quite at the level it is in other industries. End users are ready for comprehensive mobile app solutions. App developers are starting to realize this, and are developing new applications to suit complex and dynamic industry demands. 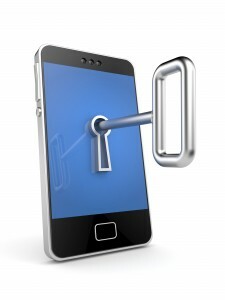 Learn more about mobile security solutions in the security industry in our blog. Is the end user a power user or a basic user? Power users will be able to navigate a more complex app (but one that also features more advanced capabilities), while basic users will need a cleaner, more intuitive setup. End users will want to take a number of factors into consideration when choosing a mobile security app. Ask yourself the following questions when considering an app. Is the app usable on multiple devices and operating systems? How much training does it require to use? Are you able to customize your experience? How many security functions can you perform with the app? Is the app’s performance smooth in its execution of these functions? Does the security system’s provider offer assistance through the app? What is the value of the app to your business as a whole? Is your security provider making an effort to demonstrate this value to you? The potential is there, and its important that your provider helps you realize it. This entry was posted on Thursday, January 29th, 2015 at 4:15 pm. Both comments and pings are currently closed.